Mahogany Telecaster with Fralin Steel Pole 42 pickups. Chambered Mahogany Tele with Zebrawood top - Fralin Blues Specials pickups. 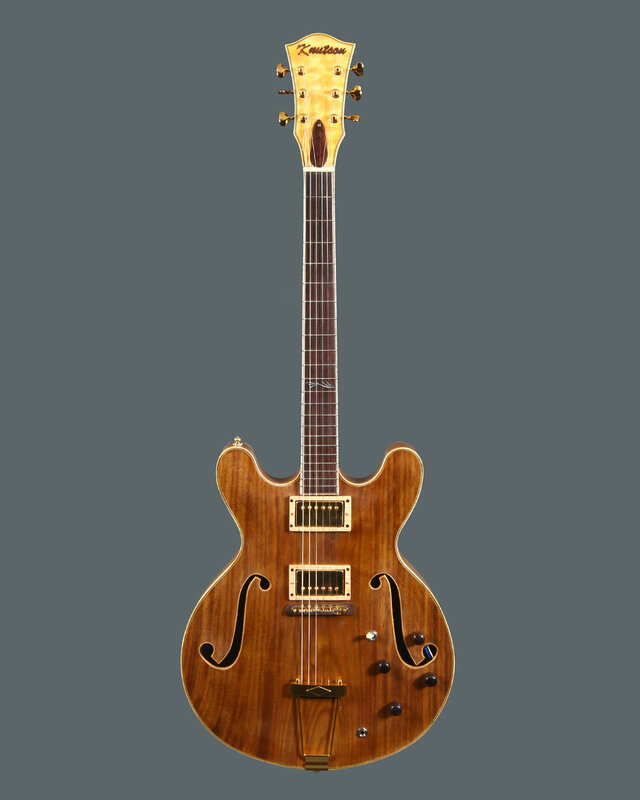 Walnut carved back/top thin line hollow body. One piece back and top. Fralin Pure PAF pickups, Gotoh Delta tuners. Maple bound f-holes and pickup rings. 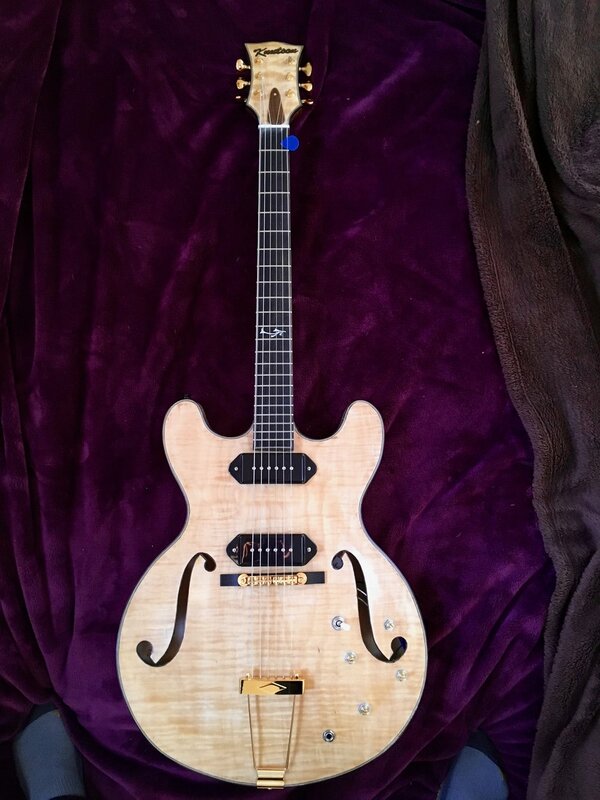 Knutson Hollow Body Thinline with Fralin Noiseless P-90s. Rosewood binding on body and f-holes. Laminate top and back. Mahogany/maple laminate neck. Gotoh Delta tuners. The second guitar my dad built. Seymour Duncan Pick-ups with PRS 5-way switch. The body is maple back and top with mahogany center. Maple neck with Schaller locking tuners. First electric guitar my dad built. Coil tapped Seymour Duncan pick-ups and a Warmoth maple neck. Gotoh tuners. The body is maple with chambers routed out to reduce weight.